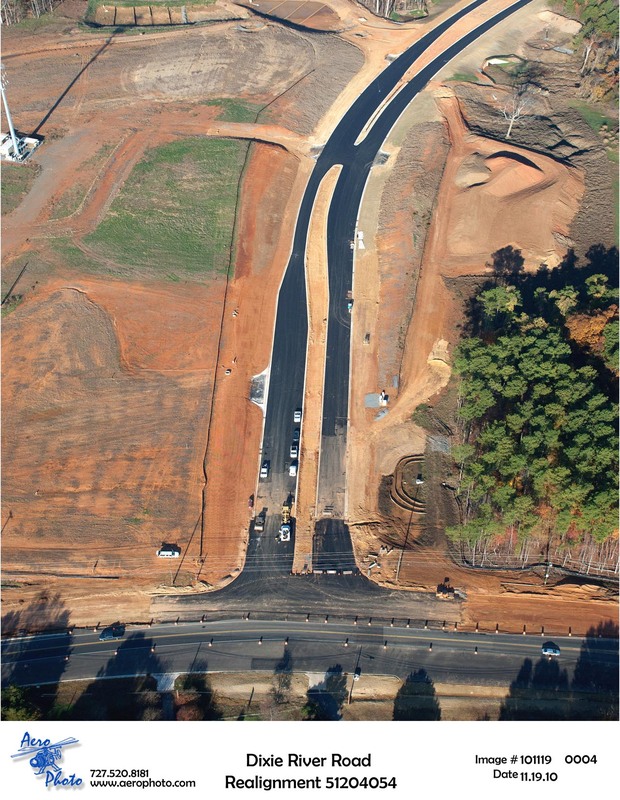 (March 14, 2011) The utilities have been moved out of the way, and the weather is warm enough to lay asphalt, so construction on the new Dixie River Road project is now progressing towards an early summer completion. The project includes three major parts. 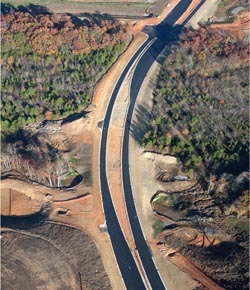 The Shopton Road West realignment was completed in 2009, and the new Dixie River Road is nearly complete. 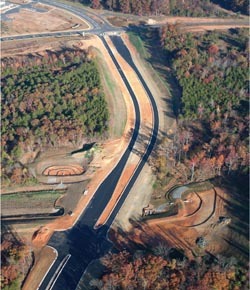 The third part is the straightening of the curve in Steele Creek Road and the widening of the road. This third part is what still requires most of the remaining work. 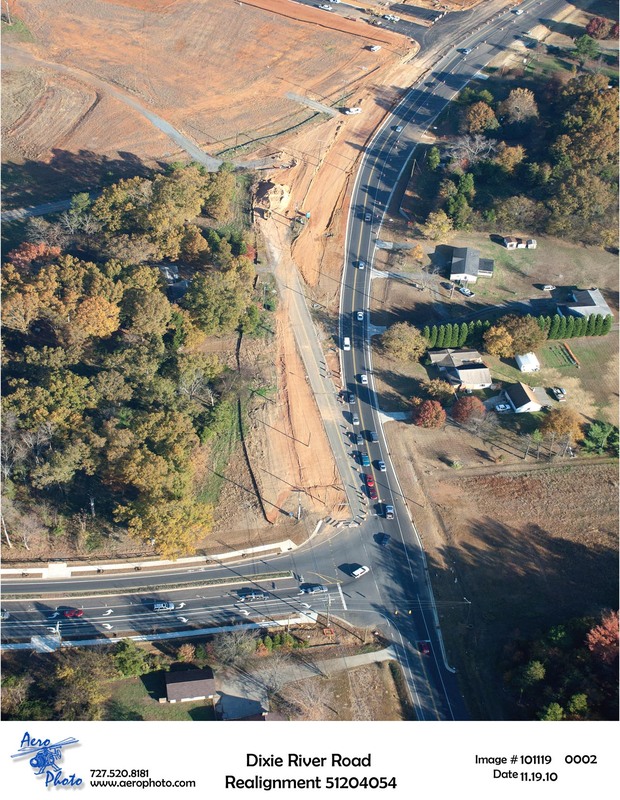 The northbound lanes of the new Steele Creek Road (shown on the aerial image to the right) have been open since last year. 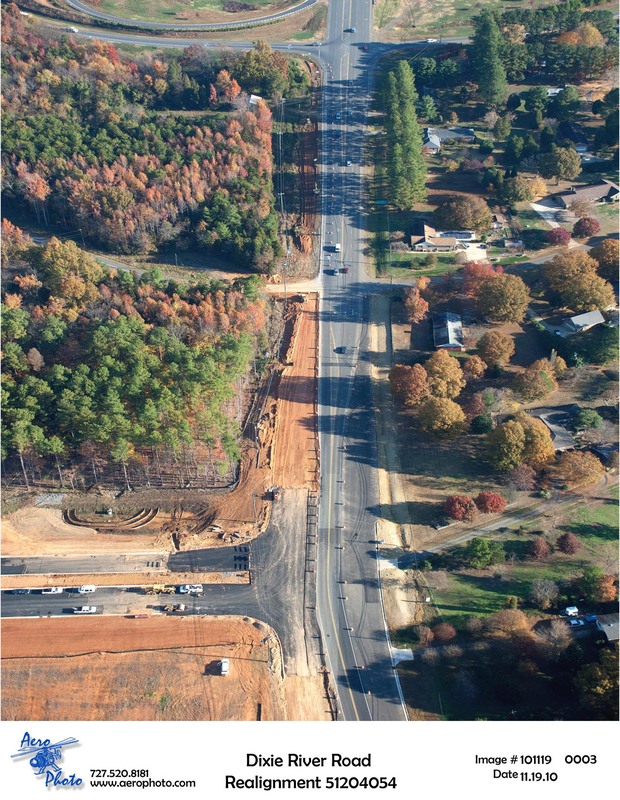 Completion of all the new roadways, sidewalks, and traffic signals should occur by early summer. Once the new Dixie River Road is opened, the old section of Dixie River Road will be renamed Shopton Road. 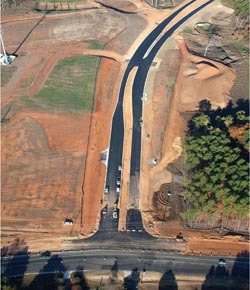 The final step will be additional landscaping, which will occur in fall 2011. 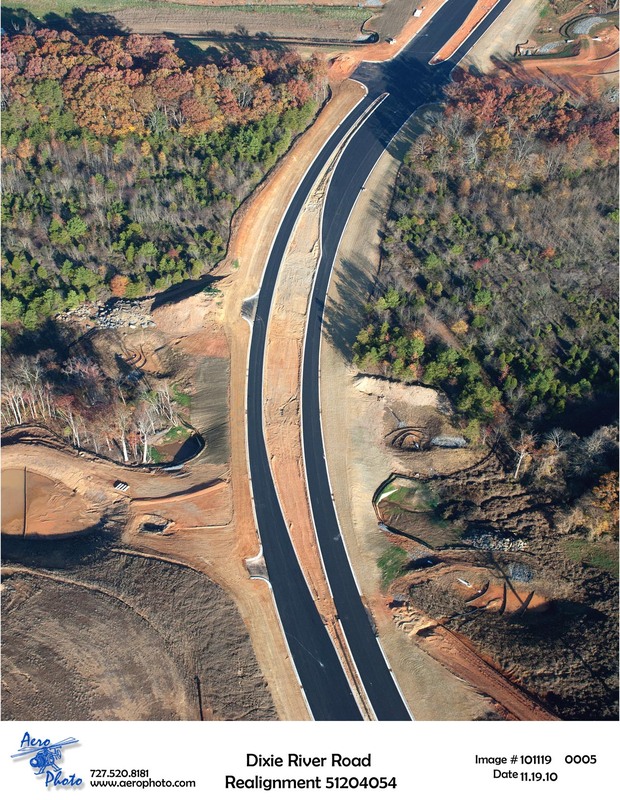 Folks who have been waiting years for improvements to Steele creek Road and the elimination of the sharp curve at Shopton Road West should be pleased with the new roads when they are completed. 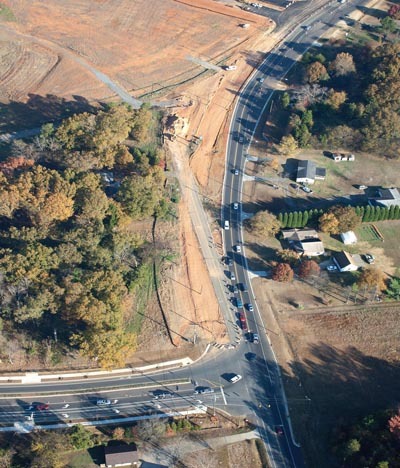 Another new road needed to improve traffic flow through Berewick is the extension of Berewick Commons Parkway east to connect to the new Dixie River Road. Currently the only access from most Berewick residential areas to Berewick Elementary School and other areas to the northeast is through a residential neighborhood, whose streets are not designed for through traffic. 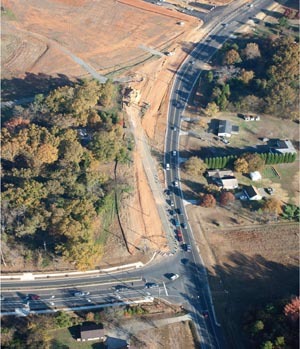 The extension of Berewick Commons Parkway will be built by the developers of Berewick and is not part of the city project. Traffic signals are required to be at least 500 feet apart. 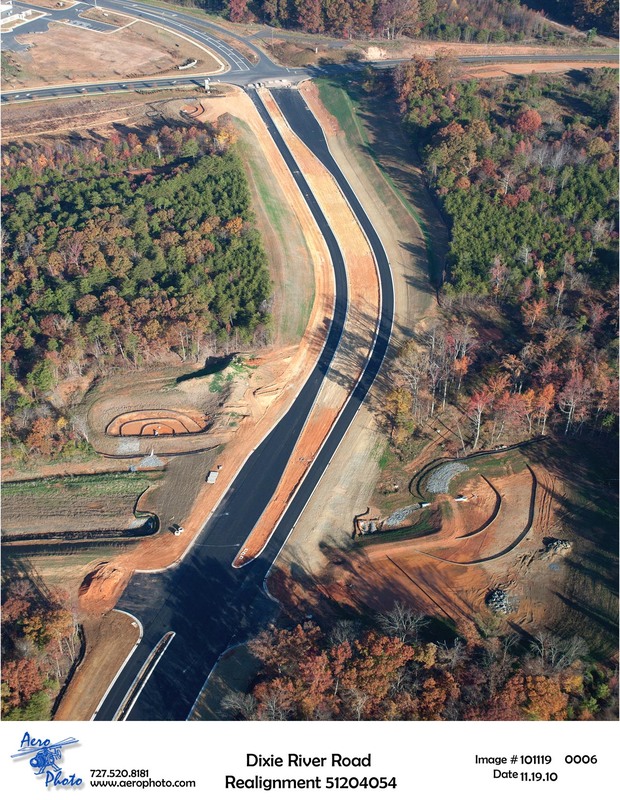 The roads are spaced so that future signals at the new Dixie River Road and both I-485 ramp intersections will be allowed. For more information, see the Dixie River Road Realignment web page. 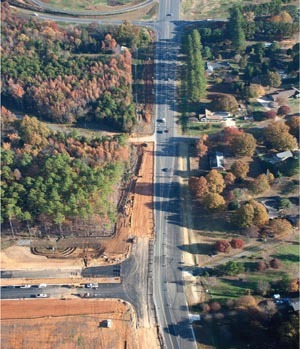 The aerial photographs below were flown last November and are courtesy of The Charlotte Department of Engineering and Property Management and AeroPhoto, Inc. Derrel Poole, Project Manager for the road construction projects, displayed them at the Steele Creek Residents Association annual meeting this month. Click on any photograph to see an enlargement.